Singapore Airlines and SilkAir will start charging some passengers to reserve their seats more than 48 hours in advance as part of a fare restructure to be introduced globally. Advance seat selection is currently available for all economy class bookings at no charge but passengers on the lowest of three new fare categories will be slugged $US5 from January 20. WATCH VIDEO: Sall we land, shall we not? Seat selection will still be available in advance at no charge for families with children (12 years old and under) in the same booking. 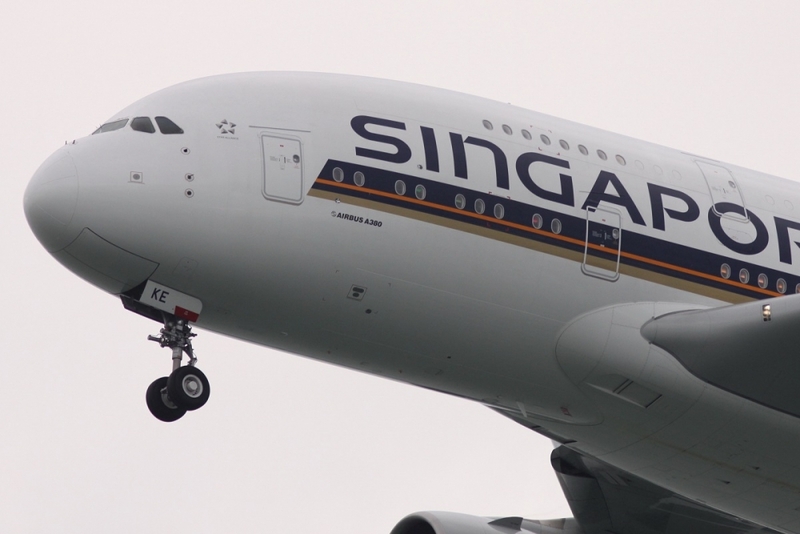 The move by the Singaporeans comes as a wider range of charges, fees and commissions is expected to boost ancillary revenues flowing to airlines globally by 22 per cent to more than $US82 billion in 2017. In addition to the seat selection fee, the new Singapore and SilkAir fare structure will also see changes to frequent flyer accrual rates, baggage allowance and fares changes and refunds in some areas. Singapore and SilkAir said in their announcement that the changes would provide “clearer choices to customers to better fit different travel needs”. They will introduce three new fare types in economy class — “Lite”, “Standard” and “Flexi”. Those on two higher fare levels will be exempt from the seat reservation charge except for those Standard customers who want to sit in a new category of higher-demand “forward zone” seats. A Singapore Airlines spokesman said forward zone seats were in the front rows of the economy cabin and passengers seated in this section generally disembarked the plane before other passengers in economy class. “Passengers who purchase the economy Flexi fare can select a Forward Zone seat for free, while those who purchase the Economy Lite or Economy Standard fare can purchase a Forward Zone seat from just $US8,” he said. Complimentary seat reservations will also be available to top tier frequent flyers, although Krisflyer Elite Silver members will have to pay to reserve the forward zone seats. There will also be significant differences between the three categories in the amount of points frequent flyers receive. Mileage accrual rates will be set at 50 per cent for Lite fares, 75 per cent for Standard and 100 per cent for Flexi. Premium economy fares will be divided into Standard and Flexi with mileage accrual, currently set at 110 per cent for everyone travelling in the cabin, reduced to 100 per cent for Standard passengers and boosted to 125 percent for Flexi customers. There will be no seat reservation charge but fees will continue for “extra legroom” seats for those other than PPS Club members. Business class will also have the three fare types with the main difference seen in mileage accrual of 150 per cent for Flexi fares and 125 per cent for the others. Seat selection will still be free. Suites and First Class passengers will see mileage accrual rise from 150 percent to 200 percent Krisflyer Elite and PPS Club members will continue to enjoy baggage privileges across the new fare types. Details can be found on the Singapore Airlines and SilkAir websites. This initiative by airlines to charge for "forward" or exit row seats discriminates against those of us who are tall and /or need leg room for ailments. Anytime we fly we now have to pay extra just to have a comfortable seat. To ensure you can get the seat, rather than rely on getting one by asking at check in, one has to reserve a seat in advance and thus get charged for doing so. Not very fair at all.